Free Price Quote Request Form to local vendors down the street from you. Your request goes out in 90 seconds to a small, select group of local businesses who best match your request. It is fast, free and very quick saving you a lot of calling. Please, only select the items you have the budget for based on the prices that display next to each item. Check the boxes of the items you need and then click the box below to add them to list to get quotes on. Business to Business: Crowd Control Barriers - *Prices: Request quotes for exact prices. Catering: Bartenders - *Prices: 25-55/hour per person in general. Catering: BBQ Barbeque and picnic foods - (photos) *Prices: 7-15/per person in small/rural areas and 20-55/person in larger metro areas. Catering: Carnival Foods Catering - *Prices: From 8-14 per person in small rural areas and small towns to 14-25 per person in larger cities. Great for parties and corporate events. Catering: Caterers for corporate events - (photos) *Prices: 8.00-20/per person in small towns and rural areas and 20-45/person in larger metro areas These are just estimated prices. Catering: Caterers for weddings - (photos) *Prices: 8.00-20/per person in small towns and rural areas 25-50-95/per person in larger metro areas These are just estimated prices. Catering: Classes and Education - *Prices: prices vary. Catering: General caterers for most events - (photos) *Prices: 8.00-20/per person in small towns and rural areas 25-50-95/per person in larger metro areas These are just estimated prices. Catering: Kosher Caterers - (photos) *Prices: 15-25/per person in small/rural areas and 30-100/person in larger metro areas. Catering: Party Platters - (photos) *Prices: 4.00 - 15.00 per person in general for groups under 100 most of the time. Catering: Personal Chef Services - (photos) *Prices: 40-250/person in general. Catering: Pick up and Drop off services - (photos) *Prices: 5-35/per person plus delivery. Catering: Pig Roast Catering - *Prices: 7-15/per person in small/rural areas and 20-55/person in larger metro areas. Catering: Wedding Cakes - (photos) *Prices: 1.00 per slice all the way up to 10 or more per slice. Decorations: chair covers - *Prices: 1.50-5.50 + shipping (if applicable) in general. Decorations: decor-Custom Decor Fabrication Services - *Prices: Prices vary based on scope of event. Decorations: decor-lounge furniture and accessories rentals - *Prices: Prices vary based on scope of event. Decorations: decor-theme design services - *Prices: Prices vary based on scope of event. Decorations: Furniture Rental and Design - *Prices: prices vary. Decorations: ice sculpture - *Prices: Approx 150 to 450 for an ice carving or ice sculpture for your special event. Decorations: Props-Christmas Theme - *Prices: Prices vary from 5.00 per item to hundreds - many decor props rental companies create a package to fit your event needs and budget. Decorations: Props-Western Theme - *Prices: Prices vary from 5.00 per item to hundreds - many decor props rental companies create a package to fit your event needs and budget. Decorations: yard cards - *Prices: 75-150 per event in general. Entertainment-Entertainers: Accordion Players - *Prices: 150-300/hour 2 hour minimum. Entertainment-Entertainers: ALL interactive games and inflatables - *Prices: Bouncers run 150-350 each and larger obstacle courses 1500-2500 and many other games in between with package rates. Entertainment-Entertainers: Animal Acts - *Prices: monkey 500 minimum - 45 minute show on bats/falcons for example 400-600 Live Bear 2500 and anything else you want. Entertainment-Entertainers: Bagpipers - (photos) *Prices: Solo from 125 to 300 for 1 hour event and pipe bands from 500-thousands depending on the size. Entertainment-Entertainers: bands and musicians, 1 or 2 pc bands - (photos) *Prices: Prices range from 500 to 2500 depending on the quality and size of metro area you are hiring them from. Entertainment-Entertainers: bands and musicians, Ballroom Dance Bands - (photos) *Prices: 22 pc big band 2200-3500 in general we have many band sizes. Entertainment-Entertainers: bands and musicians, Big Band Style Orchestras - (photos) *Prices: 22 pc big band 2200-3500 in general we have many band sizes. Entertainment-Entertainers: bands and musicians, Contemporary Jazz Band - (photos) *Prices: Jazz Bands range from solo musicians to full bands. For example a piano and sax duo 2 hours ranges from 400 to 800 in general and full jazz band 4 hours 8pc group 2100-3600 depending on date, time, and location. Entertainment-Entertainers: Barbershop Groups - *Prices: Most 4 person groups range from 500-1500 per 2-3 hours and national groups much more. Entertainment-Entertainers: Brass Groups - *Prices: Varies from 100 per musician per hour to 500/per musician per hour. Entertainment-Entertainers: Carolers, Holiday - (photos) *Prices: Example: corporate event Friday/Saturday 1 hour large cities 600.00 1st hour and 400-600 each additional hour. Smaller towns 300-500 per hour. Some caroling groups are minimum 2 hours. Private events might be 25% less than corporate. Entertainment-Entertainers: Carolers, Holiday Carolers - (photos) *Prices: Example: corporate event Friday/Saturday 1 hour large cities 600.00 1st hour and 400-600 each additional hour. Smaller towns 300-500 per hour. Some caroling groups are minimum 2 hours. Private events might be 25% less than corporate. Entertainment-Entertainers: Classical Musicians - *Prices: From 150-350 per hour in general. Most have a 2 hour minimum time-frame. Entertainment-Entertainers: December Holiday Musicians-Singers - (photos) *Prices: 100/250 per person per hour in general. Entertainment-Entertainers: Dixieland - *Prices: from a solo banjo to a whole group 10pc. Prices vary from 100-200 per player per hour in general. Entertainment-Entertainers: Entertainment Agency - *Prices: Agencies negotiate great rates and help you choose the best vendors for your event. Entertainment-Entertainers: Entertainment Agents for mostly background musicians - *Prices: Agencies negotiate great rates with the vendors based on volume buying so really agencies don't cost you much more than the act regular prices in many cases. Entertainment-Entertainers: Games, Bounce House - (photos) *Prices: small towns 100/300/day in general to major cities 300-500/day and up. Entertainment-Entertainers: Games, Flight Training - *Prices: 60-100/person 45 minutes est. Entertainment-Entertainers: Games, Flip Book Photos - *Prices: prices vary. Entertainment-Entertainers: Games, Go Karts - *Prices: 1000-2000 per day 5 carts est. we can provide more if needed. Entertainment-Entertainers: Games, Hot air balloon ride - *Prices: 200/person approx. Entertainment-Entertainers: Games, Mechanical Bull - *Prices: Beware of companies under 1000.00 as they are usually NOT PROPERLY INSURED. Entertainment-Entertainers: Games, Meltdown Wipeout Ride - *Prices: 1500-2500 per 6 hours approximately. Entertainment-Entertainers: Games, Mountain Climb Rock Wall - (photos) *Prices: 800-2500 per day in general. Entertainment-Entertainers: Games, Obstacle Course - (photos) *Prices: 800-2500 per day in general. Entertainment-Entertainers: Games, Photo Booths - *Prices: 800-2000/day depending on model. Entertainment-Entertainers: Games, Song Studio - *Prices: 800-2500 per day in general. Entertainment-Entertainers: Games, Titanic Slide - *Prices: 800-1500 4 hours with operators in general. Entertainment-Entertainers: Harpists and Groups - *Prices: 250-600 solo harp for 1-2 hours in general. Entertainment-Entertainers: Jazz Musicians - no vocals - instrumental only - *Prices: solo 100-250/hour in general and standard trio piano/bass/drums 400-1500 for 2 hours. Prices really vary. Entertainment-Entertainers: Latin - *Prices: Varies from 100 per musician per hour to 500/per musician per hour. Entertainment-Entertainers: Live Reindeer Sleigh Rides - *Prices: Usually starting at $500-700 1st hour and less after that. Entertainment-Entertainers: Magician, trade shows only - *Prices: They are specialists in trade shows. Price usually includes meeting with the client prior to the event to do some customizing. Prices range 500-1000 1/2 day to 1000-5000 per day. ANYTHING less than these prices will result in poor quality. Entertainment-Entertainers: Mannequin, live human mannequin - *Prices: 700-2500 per day depending on many factors. Entertainment-Entertainers: Murder Mystery Entertainment - *Prices: For approx 150 guests and 5 actors usually ranges from 1000-2000 small cities to 2000-3500 for larger metro areas for a 2 or 2.5 hour show. Entertainment-Entertainers: Organ Grinder - *Prices: 300-500 2 hours approx. 2 ponies 2 hours 350-450. More ponies available for larger events depending on date-time-location-type of event. Entertainment-Entertainers: Santa Claus in person - (photos) *Prices: Prices are $100-150 hour for regular Santas $175-250 hour for premium, real-beard, insured, background checked Santas. RATES are DOUBLE for Dec 24th or Dec 25th or requests less than 48 hours away from your event date. Entertainment-Entertainers: Singing Telegram IN PERSON - *Prices: 125 and up for IN PERSON singing telegram. Custom songs are usually additional. Same day usually additional. Entertainment-Entertainers: String Quartet - *Prices: 800-1200 for 2 hours in general. Entertainment-Entertainers: Swing - *Prices: Varies from 100 per musician per hour to 500/per musician per hour. Entertainment-Entertainers: Thrill Shows - *Prices: Usually running 2000-25000 per event. Entertainment-Entertainers: Variety Music - Showtunes - Pop - Jazz - *Prices: From 125-250 for musicians in small towns for 2 hours and larger cities 250-550 / 2 hours in general. Entertainment-Entertainers: Woodwind and groups - *Prices: Varies from 100 per musician per hour to 500/per musician per hour. Event Production Services: Audio Visual Production Services - (photos) *Prices: Usually starting at 1000 and go to many thousands of dollars. Event Production Services: Audio Visual Technicians - *Prices: Prices based on type of project from small business meetings to large conventions and concerts. Event Production Services: Computer Services - *Prices: Usually starting at 500 and go to many thousands of dollars. Event Production Services: Fireworks - *Prices: This is only for fireworks display companies to purchase from. Event Production Services: Lighting - (photos) *Prices: Usually starting at 500 and go to many thousands of dollars. Event Production Services: Meeting Planner - *Prices: prices vary. Event Production Services: Movie Special Effects - *Prices: prices vary. Event Production Services: Projection Systems - *Prices: Varies from 200 to 500 per unit per day depending on number of projectors needed. Event Production Services: Shoe Shine Service - *Prices: Usually full-service $250-350 1st hour and prices go down usually after 2-3 hours to at lowest about $150 per hour. Minimum 2 hours is pretty standard. High end shine services 300 per hour 3 hour minimum. Available nationwide USA and top 10 largest cities in Canada. Event Production Services: Special Effects, Indoors - *Prices: prices vary. Event Production Services: Staffing, Professional Corporate EmCee - *Prices: Prices vary from 25-100 dollars per hour for local talent and national talent 1000 dollars and up. Event Production Services: Staffing, Professional Trade Show Presenter - *Prices: Prices vary based on the project. Event Production Services: Wireless Microphone Rental - *Prices: Prices vary from 10-100/microphone. PA system additional cost. 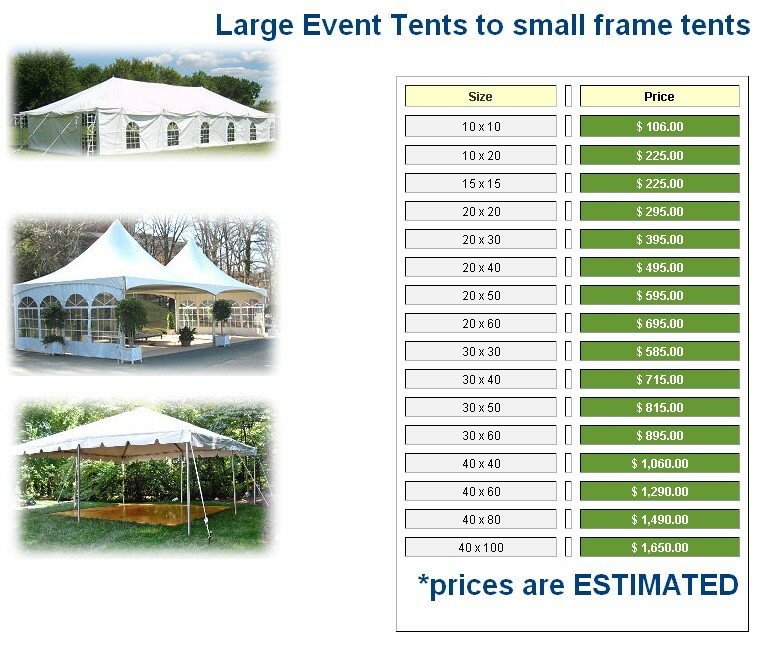 Event Services: buildings, temporary event structures - *Prices: Prices vary. custom quoted. Gifts: Caricature-Custom from Photos - *Prices: 8x10 approx $50-75 each 11x14 75-95 each. Many sizes available. Hall or Venue: Locating Service - *Prices: From 100/hour search fees to % of final cost when you secure a contract with a venue. Impersonators: Rodney Dangerfield - *Prices: The national Rodney is 1000-2000 + expenses and local ones are 200-300/hour but we don't have many local ones. LED Video Walls: LED Video Walls - *Prices: Video for small events to large concerts. Prices vary. Live Concert Production: Live Concert Production Services - *Prices: Prices vary from a small concert for a county fair 2500 dollars audio and lighting to 5-10-15-25 and 100K large concert events. Live Event Production Services: Audio Visual Production Services - *Prices: Prices vary depending on the project from small live events for a business meeting to large concerts and events. Photography and Video Services: photography, Aerial - *Prices: Prices vary depending on the job. Photography and Video Services: photography, Event Photographer - *Prices: Prices Vary. Photography and Video Services: photography, Large Group Photos - *Prices: Usually no cost to do the photo but then they sell the photos to the people in the photos. (corporate has a charge up-front for doing the photo and cost of prints for employees) Example: International Convention Group the photos cost about 35 each and there were about 200 in that photo. Photography and Video Services: Trade Show - *Prices: prices vary. Photography and Video Services: Video, VHS and video conversion and transfer services - *Prices: These companies will help you in transfering your photos/slides/old vhs or 8MM tapes to DVD or other formats for preserving or for montages at weddings. Printing, Invitations and Promotional Items: advertising-promotion, Actors and models - (photos) *Prices: Varies from 100/hour and up. Professional inquiries ONLY. Printing, Invitations and Promotional Items: advertising-promotion, balloons and inflatables - (photos) *Prices: Prices vary, weekly and monthly rentals also available. Printing, Invitations and Promotional Items: advertising-promotion, plaques and awards - (photos) *Prices: 1.00 - 10.00 and up depending on custom printing, quality of item, and quantity. Printing, Invitations and Promotional Items: advertising-promotion, shirts, custom printed - (photos) *Prices: 5.00 to 10.00 and up each depending on quality, quantity and imprinting. Printing, Invitations and Promotional Items: advertising-promotion, T Shirt Launcher - *Prices: About 250 to 500 per day or per week rental. Also available monthly about 800-1200 per month. Printing, Invitations and Promotional Items: advertising-promotion, T Shirt Launcher for sale - *Prices: T-Shirt Launchers from about $700, $1500 and $2000 approx. Printing, Invitations and Promotional Items: invitations, Unique - *Prices: 5.00-20.00 each hand lettered available. Rentals, Party Rentals: Chocolate Fountain - *Prices: Local rentals typically start at 150 - 250 for the small self service chocolate fountains. For high quality Belgian chocolate fountain with all the dipping items included and an attendant it is 395-695. Typically a large fountain can service up to 200 guests. If you have an event with over 200 guests, you should consider renting 2 chocolate fountains. Rentals, Party Rentals: Computer Rentals - *Prices: varies. Examples: Bike rack style 7ft (1-3day rental) for example run about 10-12 dollars each and 2 to 3 dollars each for setup-takedown PLUS delivery (usually 150-250 starting rate for under 50 miles) Over 50 miles delivery is usually about 5 to 7 dollars one way per MILE over 50 miles . We have many, many sizes and styles of barriers. CONCERT TYPE barriers 4ft 40-50 dollars each and about the same setup and delivery above. RETRACTABLE RIBBON TYPE barriers run about 8ft each - mostly black ribbon with stanchions 10-14 each and approx setup and delivery same as above UNLESS you pick them up directly. Rentals, Party Rentals: foodservice cotton candy machine - *Prices: 50-75/day + 50 for each 100 guests in supplies (no operator included) check with local health laws about serving food as you may need a catering license. Rentals, Party Rentals: foodservice hot dog warmer - *Prices: 50-75/day + 50 for each 100 guests in supplies (no operator included) check with local health laws about serving food as you may need a catering license. Rentals, Party Rentals: foodservice popcorn machine - *Prices: 50-75/day + 50 for each 100 guests in supplies (no operator included) check with local health laws about serving food as you may need a catering license. Rentals, Party Rentals: foodservice snow cone machine - *Prices: 50-75/day + 50 for each 100 guests in supplies (no operator included) check with local health laws about serving food as you may need a catering license. Rentals, Party Rentals: general party rentals - *Prices: Prices vary based on the item. Rentals, Party Rentals: Instrument Rental - Backline - Drums - Keyboards etc... - *Prices: local competitive rates. Rentals, Party Rentals: Lighting-Follow Spot Rental - *Prices: Generally 75 to 150 dollars per day plus delivery if you need that. Rentals, Party Rentals: luxury restroom trailers - *Prices: Approximately 1000-4000.00 per day for these VIP restrooms complete with air conditioning and running water. Rentals, Party Rentals: Production Equipment Rentals - Movies - TV - FILM industry only - *Prices: Prices vary based on the project. Rentals, Party Rentals: searchlights - *Prices: We have over 100 searchlights across the USA and Canada ranging from \$350 to \$650 for 3-4 hours in general. We have monthly hollywood searchlight rentals also. The FASTEST way to get quotes is on this page-request quotes form). We also have a laser searchlight which is the brightest searchlight in the country. Rentals, Party Rentals: Traffic Control Barriers and Lights - *Prices: Prices vary based on date-time-location and quantities. Jersey Barriers and many types of crowd control barriers. Examples: Bike rack style (1-3day rental) 7ft for example run about 10-12 dollars each and 2 to 3 dollars each for setup-takedown PLUS delivery (usually 150-250 starting rate for under 50 miles) Over 50 miles delivery is usually about 5 to 7 dollars one way per MILE over 50 miles . We have many, many sizes and styles of barriers. CONCERT TYPE barriers 4ft 40-50 dollars each and about the same setup and delivery above. RETRACTABLE RIBBON TYPE barriers run about 8ft each - mostly black ribbon with stanchions 10-14 each and approx setup and delivery same as above UNLESS you pick them up directly. Transportation: Car Rental - *Prices: Typically Vintage Rolls Royce 200-275 per hour and about 1000-1400 per day, Vintage Classic Mercedes 175-250 per hour and about 1000 per day, Ventage Model A 250-300 per hour and 1000-1500 per day, Others include Bentley 300 per hour, Escalades 200 per hour, H2 Hummer 200-250 per hour, Most more modern vehicles are between 150-250 per hour. CLASSIC CARS are Chauffer Driven ONLY. Transportation: Classic cars - *Prices: CLASSIC CARS are Chauffer Driven ONLY. Typically Vintage Rolls Royce 200-275 per hour and about 1000-1400 per day, Vintage Classic Mercedes 175-250 per hour and about 1000 per day, Ventage Model A 250-300 per hour and 1000-1500 per day, Others include Bentley 300 per hour, Escalades 200 per hour, H2 Hummer 200-250 per hour, Most more modern vehicles are between 150-250 per hour. Transportation: Horse Carriage Rental - *Prices: Horse and Carriage prices range from 500 (smaller towns) to 1000 and up for larger metro areas. These are the starting prices for renting a carriage for weddings, funerals or any type of event. Mileage above 1.5 miles of riding is usually additional. Mileage to get to your city is additional. Decorations on the carriage for weddings are usually additional. Transportation: Public Tours - *Prices: Many tours are 10-25 dollars per person. Group tours available. Wedding Related: Brand Name Attire - *Prices: Prices vary. Wedding Related: Bridesmaid Dresses - *Prices: Prices vary. Wedding Related: Butterfly Releases - *Prices: Approx Rates: USA - Monarchs 75-115/ for 1-2 dozen + 40-50 shipping overnight. Wedding Related: Clergy or Ministers - *Prices: JPs range from 75-250 Ministers 200-500 and up in general. Wedding Related: Dove Releases - *Prices: Estimated: packages from 250-550, depending on # of birds (25 - 60), the season, and distance from the event. Wedding Related: Gowns - *Prices: Prices vary. Wedding Related: Hand Made Dresses - *Prices: Prices vary. *any prices listed are only general ideas of what it costs, not exact quotes.